In her application essay for college, Tammeil Gilkerson described herself as a book that is often judged by its cover. Laney College will meet her in the next few days as its new president, and she admits to being a little nervous. She knows others are, too. She is also inspired, excited, and hopeful. 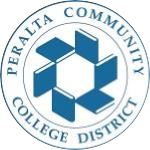 Before applying for the president position, Gilkerson had looked at jobs in the Peralta Community College District many times in the past. Years ago, as a faculty member at Chabot College, she applied for a deanship at Laney, but says that over five months passed before anyone from PCCD contacted her. By that time, she had written off the Laney job and had already interviewed, been accepted, and started a position as dean of counseling and matriculation at Evergreen Valley College in San Jose. Always looking for a way to serve the people of Oakland, she was later compelled to consider Laney again. She knew she had experience in the things she believes Laney needs now, like planning, implementation, accreditation, and building community. She also knew Laney had been without a permanent president for awhile, and felt students deserved more. She applied just before the deadline. Though she described the interview process as “grueling,” Gilkerson said that the experience was reaffirming for her, whether she was chosen for the job or not. She felt that the issues brought up were not insurmountable, that she had “been there before.” She saw that students, staff and faculty were not giving up. “I was moved by the passion of the people there. They were critical of the institution but also clearly invested in making it better,” she said. Having a lot of experience working with community colleges, Gilkerson’s own criticism of the institutional complex is that they can create internal barriers of their own that affect student success. During her time as vice president of Contra Costa College, she often heard complaints about being the “second child” of the district, and worries that this kind of thinking and constant negative focus, like self-fulfilling prophecies, affects the way people work and the decisions that they make. A recent story titled “‘Family’ bids farewell, honors Gilkerson’s legacy” from Contra Costa College’s student newspaper, The Advocate, President Mojdeh Mehdizadeh is quoted saying, “I want to cry,” but goes on to express excitement and praise. “I am thrilled for her. This really is the next move for her. I think she is extraordinary. I want to say, Laney is so lucky they are getting her as a leader,” she said. She references enrollment management, schedule analysis and making sure that classes meet student needs, with a global focus on removing barriers, and enabling progress. She explains that it’s also everyone’s responsibility to think about the cultural messages people have at Laney and how that influences behavior. She suggests that we look at our own biases, unpack some of them, and then see what changes we can make, how we can innovate. She says we have to at least try. She wants to start with hearing people, building trust, and nurturing community. She believes community colleges can do better at being the great equalizer in the community, and they will be if she can reach her goal. But she admits that we cannot do everything at once. Priorities have to be made. Access has always been what she calls her “mantra cry,” along with tackling racial and socioeconomic justice in under resourced communities. As an adopted baby from Korea, raised with other adopted siblings of color, her experiences growing up made a strong impression. She saw the challenges that come from outside perceptions, especially for children of color, and the “identity contingencies” they can cause. She hadn’t even considered going to college until the Early Academic Outreach Program at UC Berkeley came to her junior high school and provided her with “early exposure” and access. But please don’t ask her again about her age, a question she says she’s been asked numerous times since accepting the job as Laney’s president. She wonders if a man would be asked the same question. Equally pressing is the question of how she will respond to the greater challenges facing her and her new community at Laney.